1.25" rack and pinion for Newtonian, ~9" tube Sold! 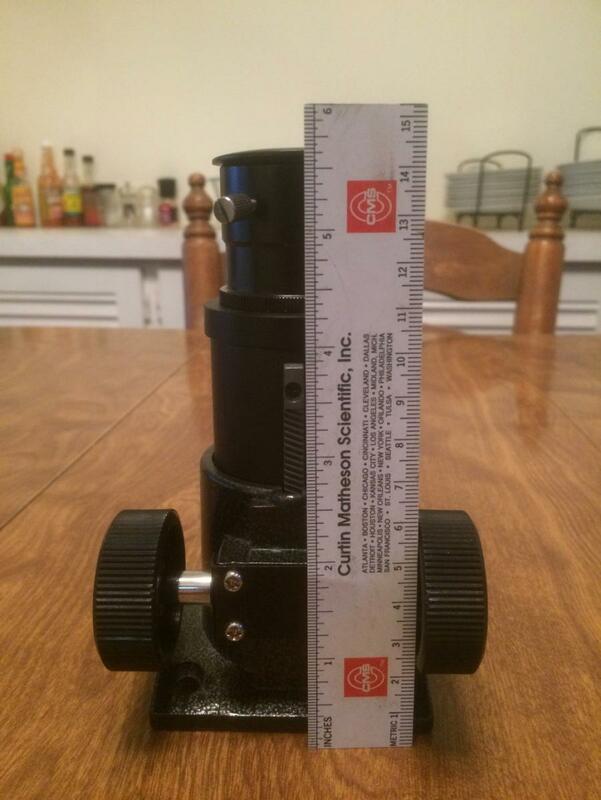 This focuser came off of an Orion SkyView Deluxe 8" EQ. The base plate is curved to fit a ~9" outer diameter tube, with mounting holes 58mm apart (center to center). See photo to get a rough idea of the height and adjustment range, I can provide more detailed measures if needed. 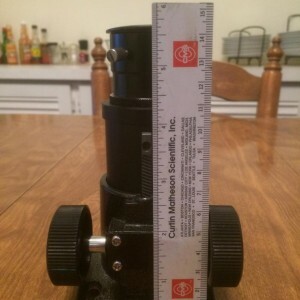 Note also that the top inch or so unscrews and you might be able to put a shorter eyepiece holder in its place if you need something lower profile. $20 includes US shipping and Paypal fee.